For me, Father’s Day has always been a time of both reflection and celebration. It’s a joy to have my family and sons around me to celebrate, and I know that Dad would have been proud of all of us, and everything he helped set into motion. Still, I wish he was here to see it. 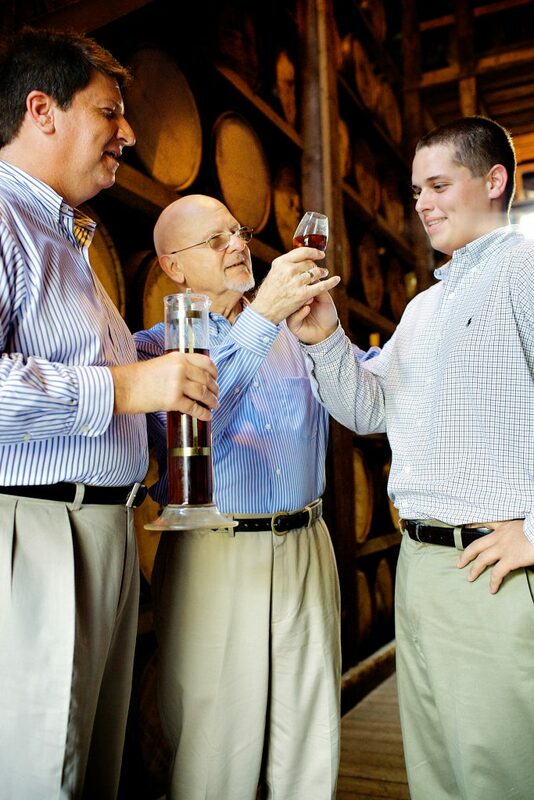 I know he’d be amazed at how the distillery turned out, and everything we do here is a testament to his legacy. I know he’d be proud of his grandsons, who’ve done an amazing job learning the family business. I’ve mentioned this before, but when I was a kid and I would go with Dad to work on weekends, and the aroma of mash and distilling was the best remembered aroma of my childhood. Growing up, it was always the smell that reminded me of Dad, and now my entire family gets to experience that and share in those memories. I also have to say that there’s no better aroma you could ever associate with coming to work! Our offices are in the back of the distillery, so when you come to work through the front of the building, you get to walk through the processes of distilling, fermentation and brewing. It’s the best possible combination of scents to start your day with. Working together with my sons has been an incredible experience. Working with your family will always offer some unique challenges, but the benefits have been overwhelming. Watching them grow in their roles is just incredible. When we launched Angel’s Envy, we had no idea what it was going to grow into, but we had our hopes. We knew what we wanted the business to be, but never expected this level of success. We’re thrilled to be able to offer a tour that gives guests a glimpse into our work, but until you’ve worked the day-to-day production side, you’ll never know how hard Kyle, Andrew and all of our employees work to make sure that Angel’s Envy is perfect. Having my sons work with me to create our unique spirit is one of the most rewarding things I could’ve ever imagined. To all the fathers and their families out there this Father’s Day, I wish you a wonderful day filled with memories of family, and hope for the future.